RNC Votes To Back Trump's Trans Military Ban - Joe.My.God. The Republican National Committee is siding with President Donald Trump on his order to bar transgender individuals from serving in the U.S. military. Trump’s order has suffered legal setbacks. Three federal courts have ruled against the ban, prompting the RNC to take the position standing with Trump. 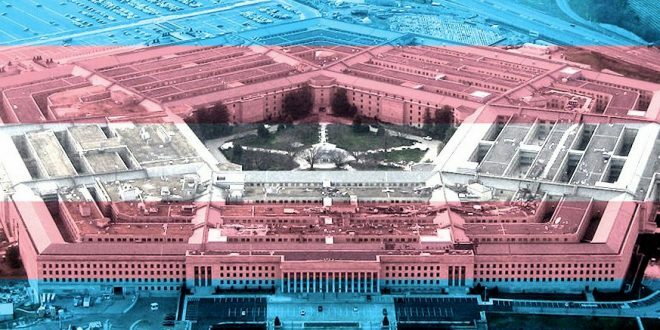 An effect of one court ruling was that the military would be required to allow transgender people to enlist beginning Jan. 1. Over the last month alone, the Trump-Pence administration has rolled back significant protections for the LGBTQ community, ripped apart families, and allowed health care workers to discriminate access to medical care. Today, the RNC decided to go even further and pass a hateful resolution, which only serves to subvert and further demean hardworking men and women who want to serve their country in the most honorable way they can. The RNC has proven they are more than willing to deny basic rights to LGBTQ Americans all while accepting money from an accused sexual predator and funneling money to an alleged child molester. Every American deserves respect and Democrats will not rest until every American is given the opportunity, respect, and rights they deserve under the Constitution.